Glamorous Broadway actress Babe (Leatrice Joy) is cast as a Salvation Army lass in her latest musical. For research purposes, she pays a visit to a Lower East Side S. A. Mission, dons a uniform, and goes to work on a street corner, complete with tambourine and contribution pot. This upsets her sweetheart Jerry Wilson (Victor Varconi), who feels that Babe is poking fun at the Army and its good works. But the lovers are reunited when Babe's experiences make her a better and more reverential person. 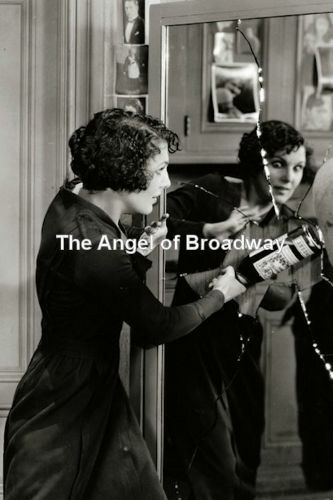 Angel of Broadway was the last silent-film effort of pioneering female director Lois Weber, who unfortunately was unable to finance another film project until 1934.